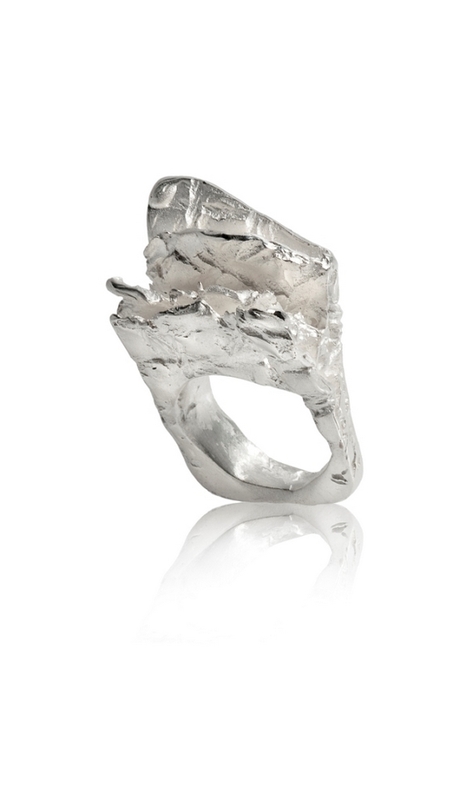 Ring in silver of the burlap collection, inspired by medieval tissues. Unique design. Measured finger No. 10. Sold with case.